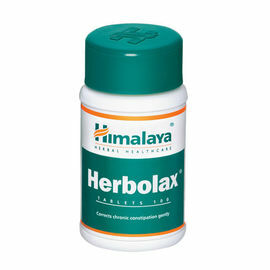 Herb functions: Reduces the frequency of bowel movements and calms intestinal spasms and pain. Helps in controlling diarrhea-causing microorganisms (E. coli, giardia, rotavirus) and its toxic effects on the intestines. Helps protect and prevent ulceration of the inner mucous lining of the stomach and intestines. Supports intestinal flora and aids healthy digestion. Ideal For: Irritable Bowel Syndrome (IBS) especially diarrhea. Chronic diarrhea and dysentery. Intestinal infections. As a co-prescription to oral antibiotics. Good to Know: 100% vegetarian. Free from sugar, artificial colors, artificial flavors, preservatives, and gelatin. 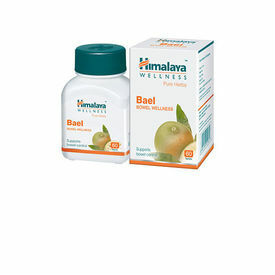 Composition: Each tablet contains: Bilva (Aegle marmelos) fruit extract - 250 mg Dosage Recommendation: 1-2 tablets twice daily or as directed by your physician. Special Instructions: Please inform your physician before consuming in the following situations: Pregnancy Breastfeeding Diabetes Hypertension Specific contraindications have not been identified. Please consult your physician if symptoms persist.